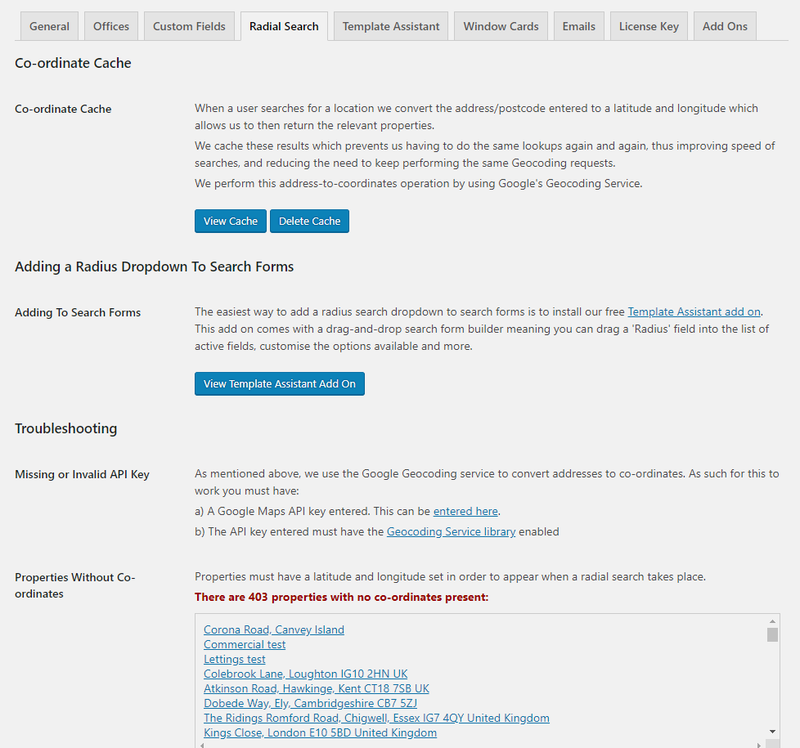 Version 1.0.14 of our popular Radial Search add on has been released containing two great new features. In this post we’ll look at this new functionality in more detail. If a user searches for properties and enters an address keyword, a new sort option will appear allowing them to order the results by the distance/radius they are from the search term entered, starting with the nearest first. Previously upon activating the Radial Search add on you would simply add the field to the search form and away you go. We’ve now added a new tab to the ‘Settings’ area of Property Hive offering lots of information about caching and troubleshooting. Our aim with this settings area is to give you a better view of what’s going on behind the scenes and to assist with debugging why properties might not be appearing when they should, without the need to raise a support ticket. If you have the Radial Search add on installed already and have a license key you can update to this latest version through WordPress right away to benefit from these new features.